Have you ever heard of Setsubun （節分）? If not, this is a great chance for you to find out! 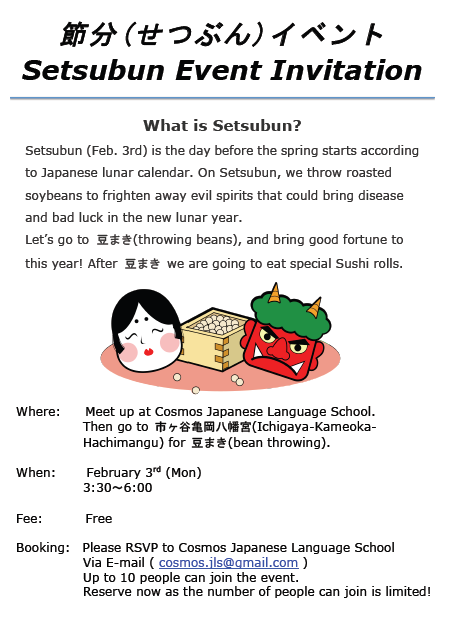 Come check out this Setsubun event hosted by COSMOS Japanese Language School.